Here is the example of the data-matrix. It can be easily recognized on the dark outline at the left hand and the bottom side of the structure. The content, that is the message and error correction, is placed in the structure in a diagonal fashion. I encountered the Aztec code the last time when I was traveling. 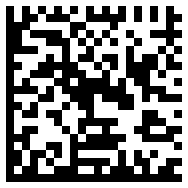 This code seems to be the preferred 2D bar-code used on boarding-passes. The little pyramid used as the marker in the center was the reason for naming this code. 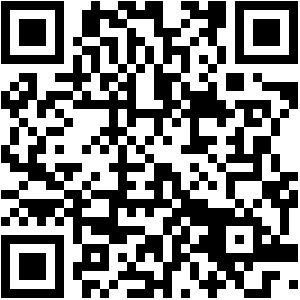 Same as with the data-matrix and the QR Code, the content is a message and a error correction part. Data is placed in the structure in a circular fashion starting in the center. The QR Code data placement is done in a horizontal fashion. In this orientation the start is at the right bottom of the structure and the data placement is up/down/up/down in the complete structure. I would prefer the QR Code above the other two mentioned codes for a couple of reasons. It is the best known of these codes. For mobile phones some of the available Apps don't support the other formats. If a graphic is to be inserted in the code, the preferred place is in the middle, with the QR code this interferes the least with the data, compared with the other two setup's.